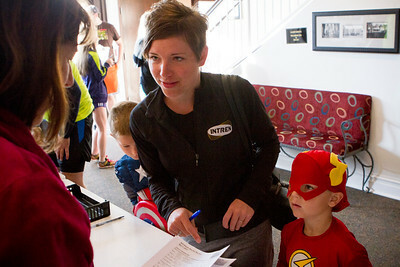 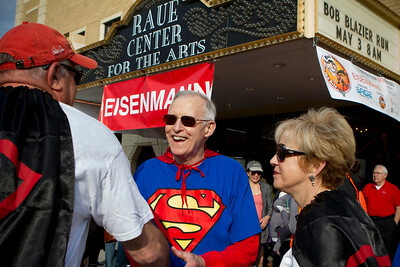 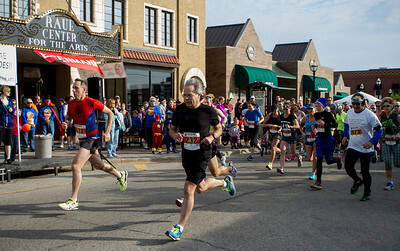 Mike Greene - For Shaw Media Bob Blazier, center, speaks with Bob Gray, left of Prairie Grove, and Paula Dorian-Gray prior to the start of the 18th Annual Bob Blazier Run For The Arts 5K Run/Walk Sunday, May 3, 2015 in downtown Crystal Lake. 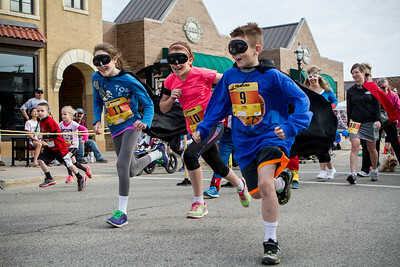 Blazier spent 12 years as the superintendent of Crystal Lake Community School District 47 and has also served on the boards of the Northern Illinois Medical Center, now Centegra Health System, and the Crystal Lake Chamber of Commerce. 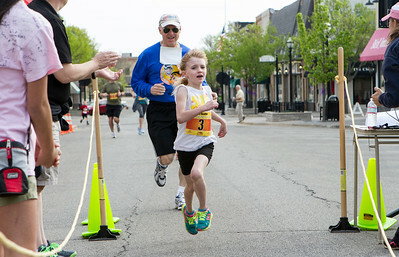 Mike Greene - For Shaw Media Christ Setzler, of Wonder Lake, strides towards the finish line during the 18th Annual Bob Blazier Run For The Arts 5K Run/Walk Sunday, May 3, 2015 in downtown Crystal Lake. 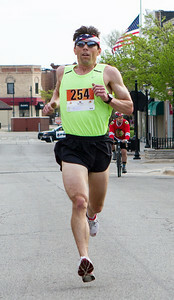 Setzler took first place with a time of 17:11. 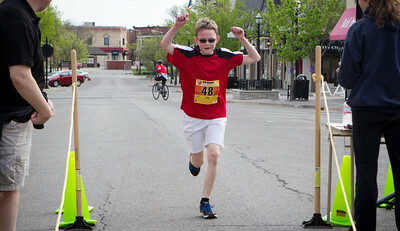 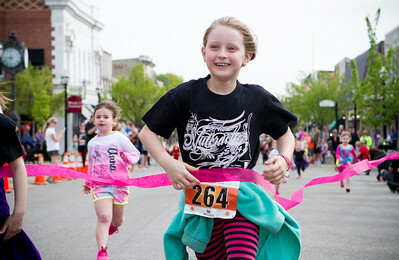 Mike Greene - For Shaw Media Lauren Conroy, 16 of Barrington, strides towards the finish line during the 18th Annual Bob Blazier Run For The Arts 5K Run/Walk Sunday, May 3, 2015 in downtown Crystal Lake. 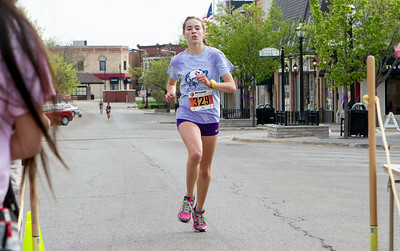 Conroy took first place in the women's division, finishing with a time of 20:21.